cable suspends you from 20 to more than 300 feet above the valley. You can do more than imagine it. 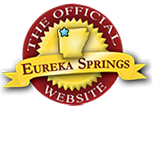 Sign up for this extreme adventure in Eureka Springs. Will Wall and his wife Kendra opened Ozark Mountain Ziplines in Eureka Springs in March of 2013 and oversee zip line tours for families, couples and groups. The course was designed and built by Universal Zipline Technology, a leader in the zip line industry and is inspected daily. “Zip lining is considered an extreme sport so there is a lot attention given to safety and there are redundancies built into every element,” Will reassures. After being fitted into a helmet and safety harness, you board a shuttle and ride out to the course. Highly trained guides accompany you through your treetop adventure introducing you to breathtaking views of the Ozark Mountains. Ziplines range in length from just 120 feet to 2000 feet between suspended platforms built in the treetops. 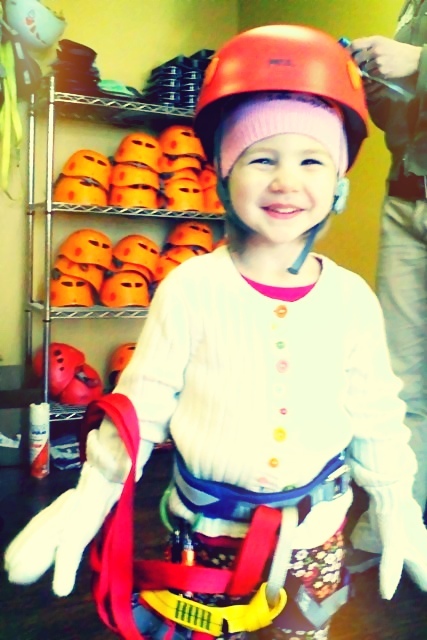 No experience is necessary and children as young as 3 years of age can actually take the tour. Tours typically include groups of 10 and there are some requirements which can be found on the Ozark Mountain Zipline website. Tours are 2 hours. Make your reservation! Call 479.363.6699. Online ticketing will be available soon. This entry was posted on March 11, 2013 by estcblog in Attractions, The Great Outdoors, Things to Do and tagged Arkansas, Eureka Springs, Outdoor, outdoor adventure, zip line tours.